In the Name of Christ Jesus our Lord, we extend to you a warm welcome to our web site. We pray you will enjoy your visit with us. Gloria Dei is a congregation of the Lutheran Church-Missouri Synod, meaning we conform to the Word of God in doctrine and practice through Grace alone, Scripture alone and Faith alone in Jesus the Christ alone for Salvation. 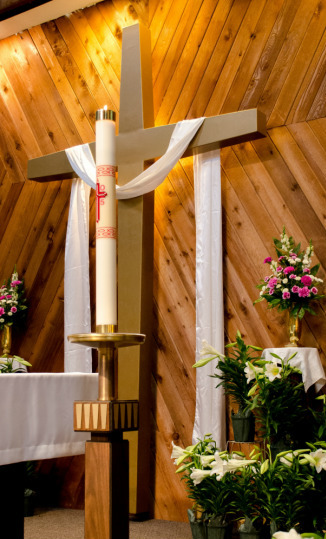 We offer Jesus Christ-centered worship through traditional liturgy, rich hymnody and the proclamation of Jesus Christ crucified for the forgiveness of sins. We are a “confessional” congregation. We hold to the Lutheran Confessions as the correct interpretation and presentation of Biblical doctrine. Contained in The Book of Concord (the Confessions of the Evangelical Lutheran Church), these statements of belief were put into writing by church leaders during the 16th century. (The simplest of these is Martin Luther’s Small Catechism.) The Augsburg Confession gives more detail on what Lutherans believe. Gloria Dei Lutheran Church in Davie (located in the heart of Broward County) is a warm and inviting place for you to come and worship our Lord. We invite you to explore our website and contact us if you have any questions. Please come and worship with us! We would love to meet you and share the Good News of our Savior Jesus with you.